Often times, the idea of improving your health can be daunting. There is good information out there but it’s difficult to know where to start. 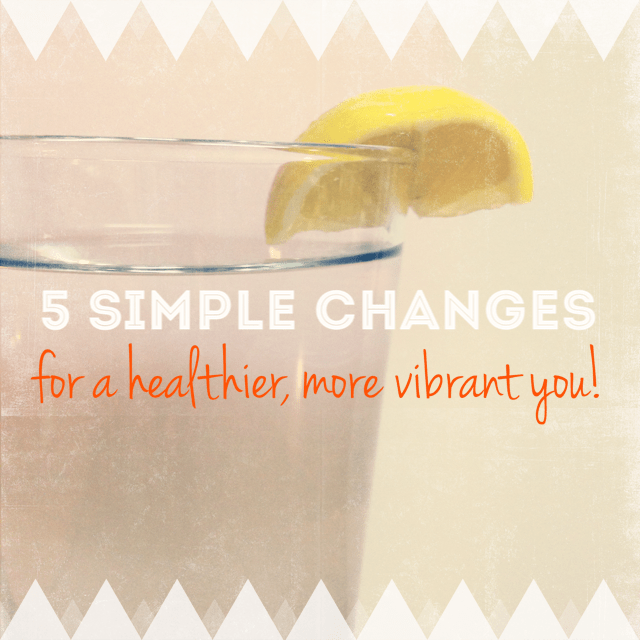 Utilize these 5 simple tips to make small steps toward a healthier you! 1. Start your day with water. For me, an avid coffee (ahem, nectar of the gods) drinker, this was a tough habit to build. I set the timer on the coffee every night and the smell is what really draws me out of my comfy bed. But I started to realize that I would forget to drink water in the mornings, leading to headaches, exhaustion (needing that second round of nectar), skin breakouts, and decreased immunity. Once I started noticing these symptoms, I decided to let my first sip in the morning be water. Once I started doing this, I noticed, I felt less dependent on coffee, more energized, I slept better, and stayed healthier. My favorite way to drink water in the morning is slightly warmed with a good squeeze of lemon. When you drink it like this, you take in a good amount of vitamin C (immunity!! ), balance your pH levels, fuel your metabolism, and increase digestion. I have also found that I am more prone to make healthier food choices when I start my day with water. When you are hydrated, your body craves nutrient-rich foods rather than sugary, saltier ones. Alas, this is easier said than done but it is possible. If you absolutely cannot make yourself eat veggies, especially greens (which carry SO many good nutrients), one way that you can increase your intake is to include them in your smoothies or juices. Also, check your plate and make it colorful. Think of your plate as a piece of art that you want to feel balanced and beautiful. See this for more information on the specifics of these vegetables. If you are able to amp up your servings, you will see the results almost immediately. 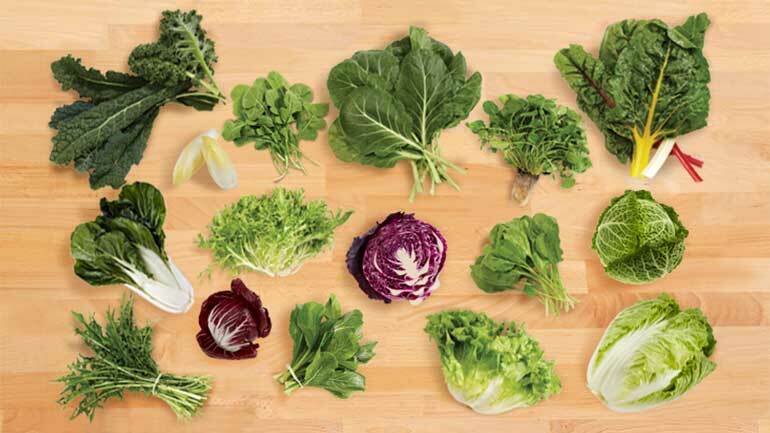 Dark green leafy vegetables are known for being packed with vitamins A and C, calcium, iron, fiber, and folic acid. They help keep you nourished, your skin looking refreshed, and your mind working more efficiently. 3. Avoid the “refined” enemies. There is a lot of debate about the evils of refined flour and sugar. But why? First of all, consider this…why do we eat? We eat to nourish our bodies with energy. A huge part of creating this energy in our bodies is from the breakdown of carbohydrates. So go ahead and throw the idea that all carbs are bad out the door. It’s just not true. What we need to eliminate is the need for refined sugars in our diets. When flour and sugar are in their natural state, they are packed with more nutrients – but in order to ensure longer shelf life, they are “refined”. Refining just means that any naturally occurring nutrient has been stripped away until all that is left is a simple sugar. These foods are considered calorie-dense because they give us a lot of calories, but nothing nutrient-wise. They are broken down very quickly in the body, but provide no lasting benefits and can lead to a mass amount of health issues. What we need to do is work to find more nutrient-dense carbohydrates for our bodies and simple sugars that are naturally occurring. Complex carbohydrates are naturally occurring carbs that take longer to breakdown as they work through digestion, so that all of the good nutrients are sent out to the cells to provide long-lasting energy that sustains you much better than that sugar high! Examples of complex carbs include: whole grains, brown rice, quinoa, etc. The first thing you can do is watch your intake of refined flour and sugar. When you are baking, play around with substitutes (coconut palm sugar, apple sauce, whole wheat flour, almond and coconut flour, etc). When shopping, check labels. Processed foods are often infused with these refined substances to increase shelf life. When you must have sugar – eat it in natural form. Examples of this include: fruits, honey, agave nectar, stevia, etc. Even though these are simple sugars, they contain vitamins and minerals that our bodies can use. As you can tell, I can go on a long rant about this subject. If you have questions, please contact me and I’ll do my best to point you in the right direction! Better mental capacity. Whether you are in school, at work with a big presentation, or need to remember where the kids go after school today. A good night’s rest will help you stay on top of things and you may even find more creative stimulation to think outside of the box! Better quality of life (and it may even make you live longer). The more you sleep, the more you will soak up the blessings of each moment. When you are tired, you are more likely to overlook simple joys and focus more on “getting through the day”, which robs you of the true beauty of life! It has also been shown that longer lifespan is associated with more rested individuals. Probably because you are much less stressed and more focused on taking care of yourself! Less inflammation. The more z’s you catch, the less your physical body will be swollen with blood proteins that can lead to heart attacks, blood clots, etc. The more you sleep, the better the blood flow. Weight Management. When we stay awake too long, we begin to find that “second wind” of hunger because our bodies are still working to burning calories to keep us sustained. But often we eat a late night snack and then head right to bed – which leaves us too many calories that we will not utilize leading to weight gain. It’s important to know that your sleep and your metabolism are both triggered by the same part of the brain, which means when you feel that late night craving – your body is also craving sleep. If you aren’t planning to be awake for a few more hours, choose rest! Worry less about the calories, the pounds, the fad diets and the media. Focus your attention on what makes you feel good, nourished, energized, and happy! When we have a good relationship with what we eat, we are able to see more clearly what foods will make you feel great. Always honor your body and forget about obsessing over the “rules” of healthy eating. If that cookie is calling your name, extend a little grace to yourself and eat it! Just make sure that you take care of yourself the rest of the day. Drink your water, eat your veggies, go on a walk. It’s all about moderation. Do what you need to do to take care of YOU, because you are irreplaceable! love your yoga and your words on life- thanks for both!